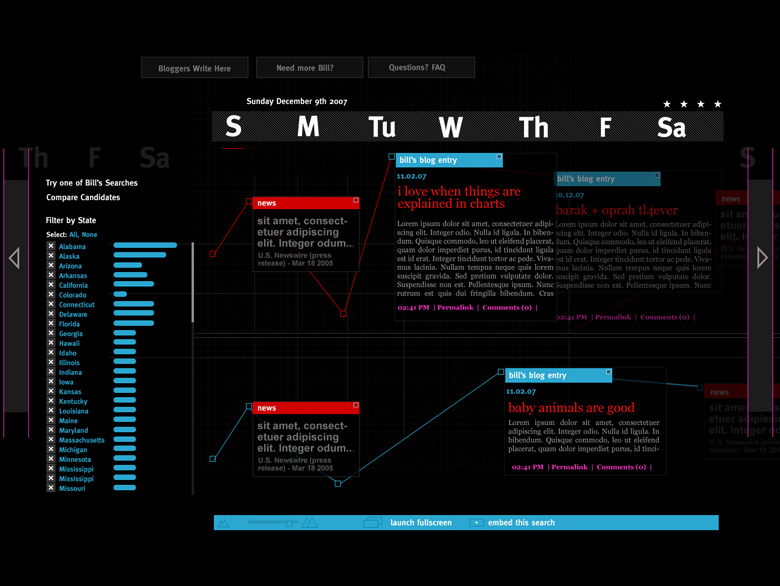 This is an interface for the google trends API. It is designed to be scaleable in realtime. 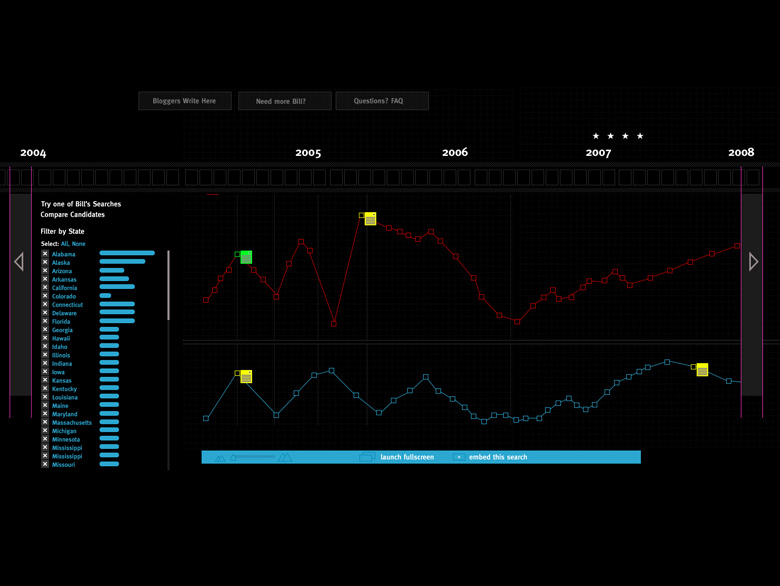 Users can compare frequency of search terms related to the 2008 elections. 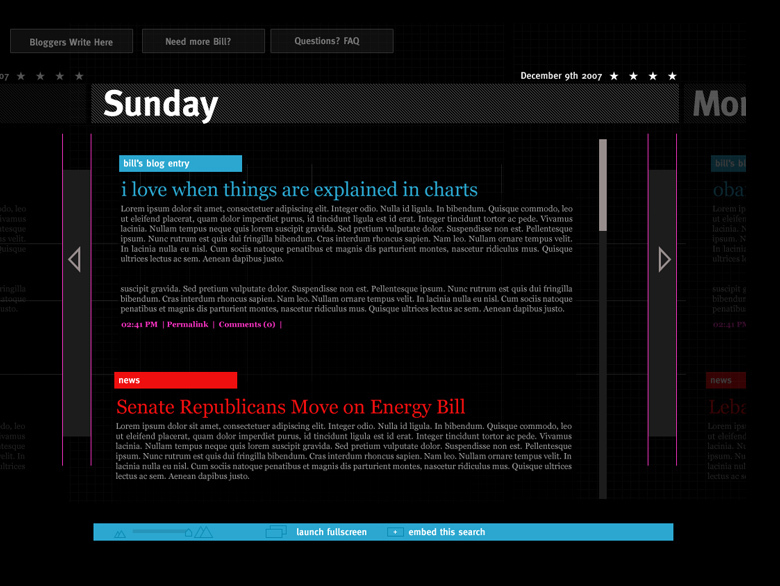 The application includes news entries and Bill Maher’s blog entries as they relate to news items.